Marvel Entertainment announced last week that it’s mightiest heroes will be taking a stand against bullying this October. 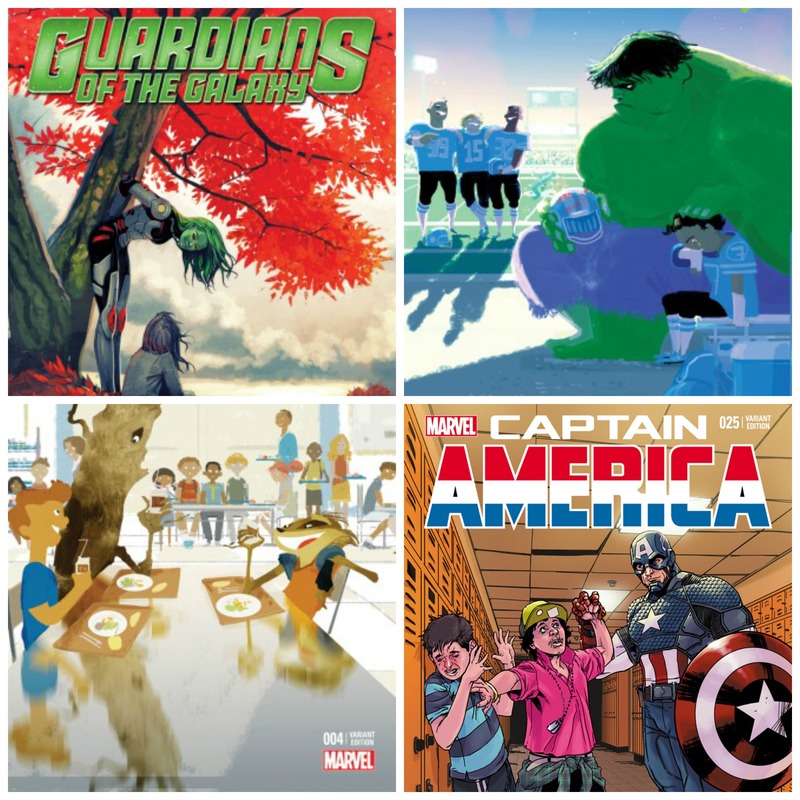 Over the course of the month, Marvel will be releasing special Variant Covers of select comic books to show support for National Bullying Prevention Month. The special editions will be available exclusively at Comic Book Stores and will include popular characters such as The Guardians of the Galaxy and Captain America. With the growing popularity of Superhero films, particularly in the Marvel Universe, it is exciting to see them standing up to take part in such an important cause. I will certainly be keeping my eyes peeled in October when I visit my friends at the comic book store! Will you be picking up your own special copies when the time comes?